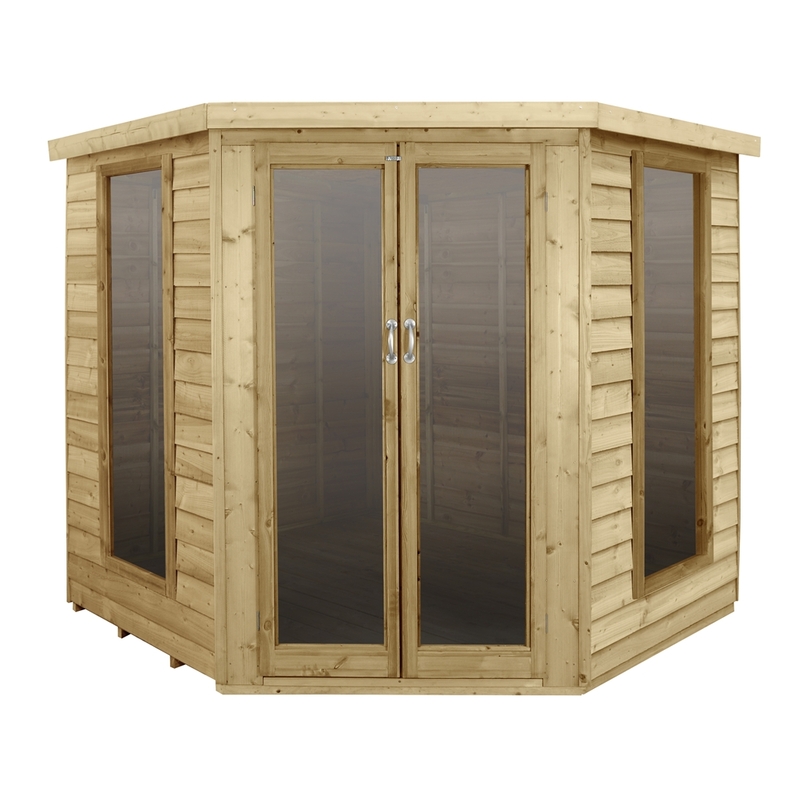 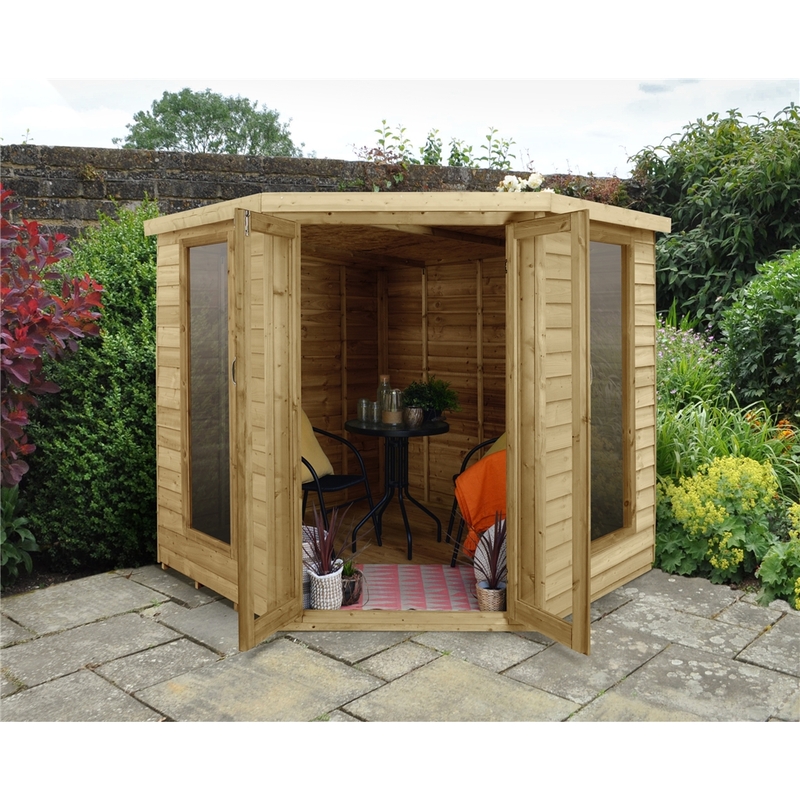 The Oakley 8x8 Corner Summerhouse is the ideal design to turn a corner of your garden into a haven of peace and tranquillity - the perfect place to read, enjoy a drink or simply take in the view of your garden. 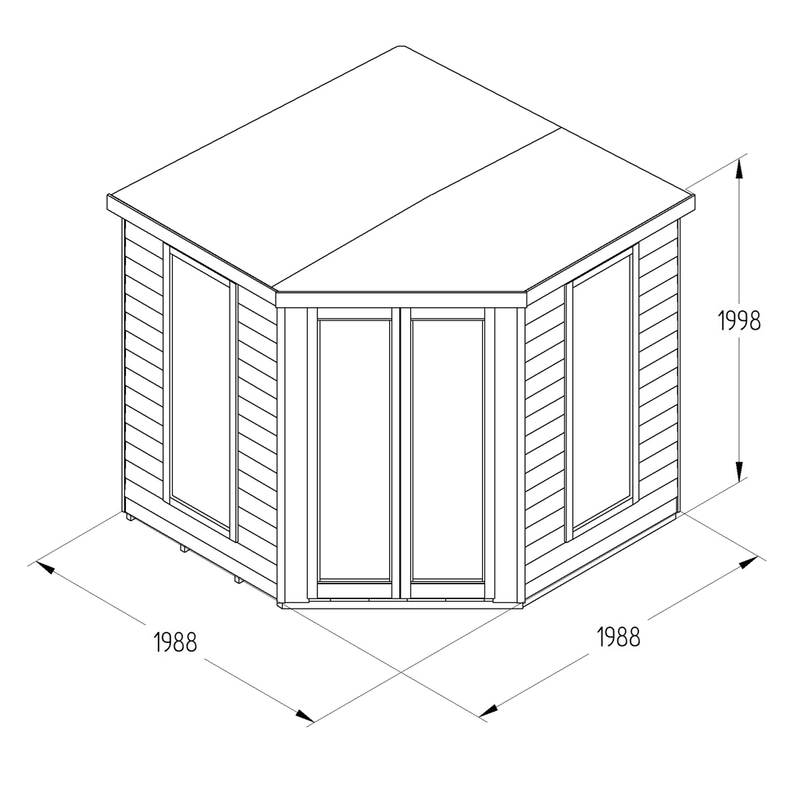 This elegantly designed building is made from traditional overlapping boards, designed to encourage rainwater run-off, while the felted roof ensures the building is water-tight. 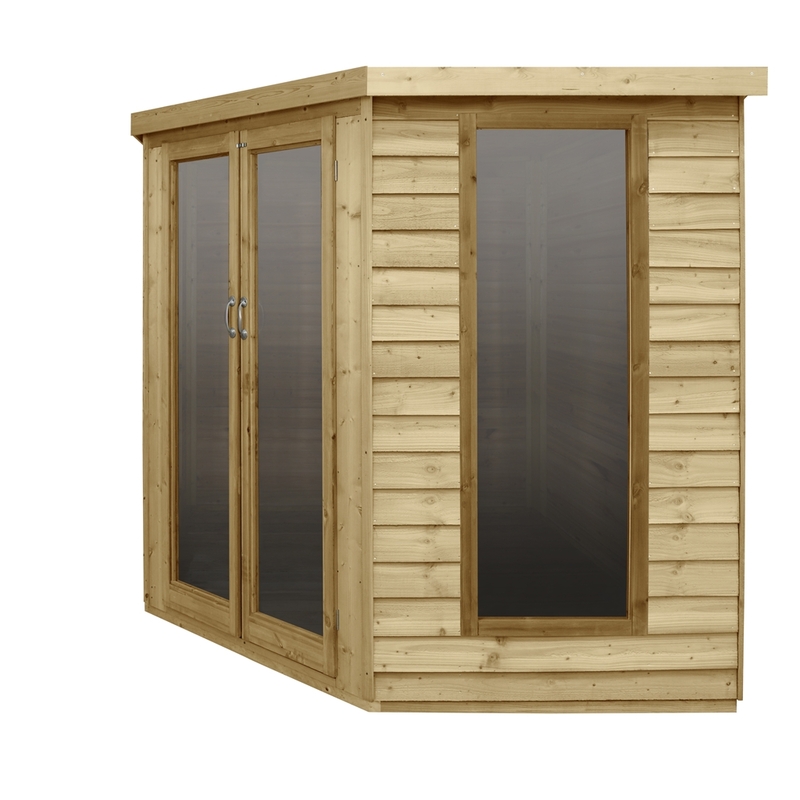 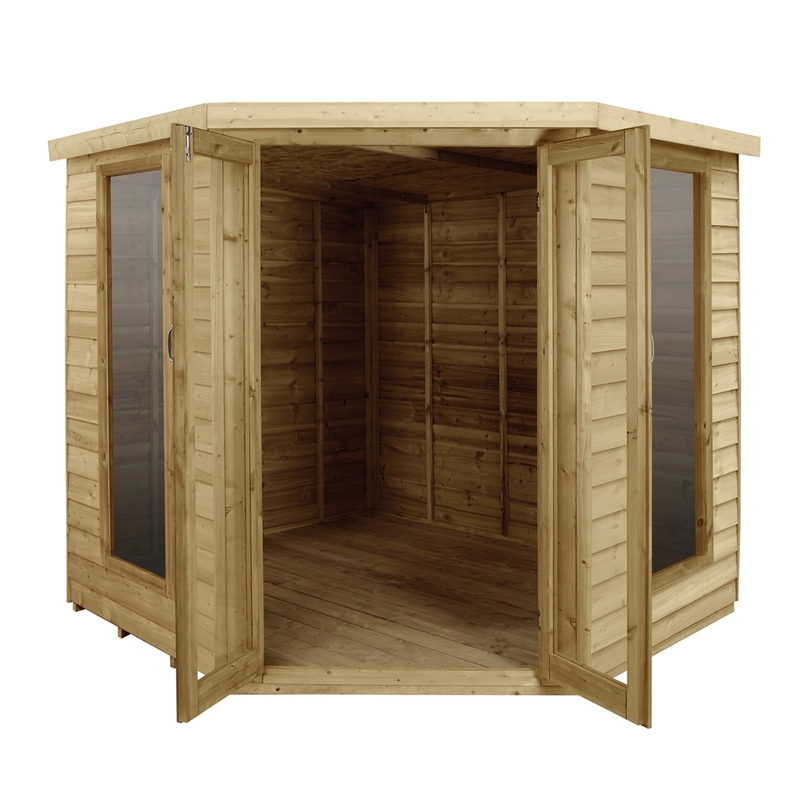 Packed with fantastic features including double opening doors and full-length, shatter-resistant, styrene glazed windows to let the light flood in. 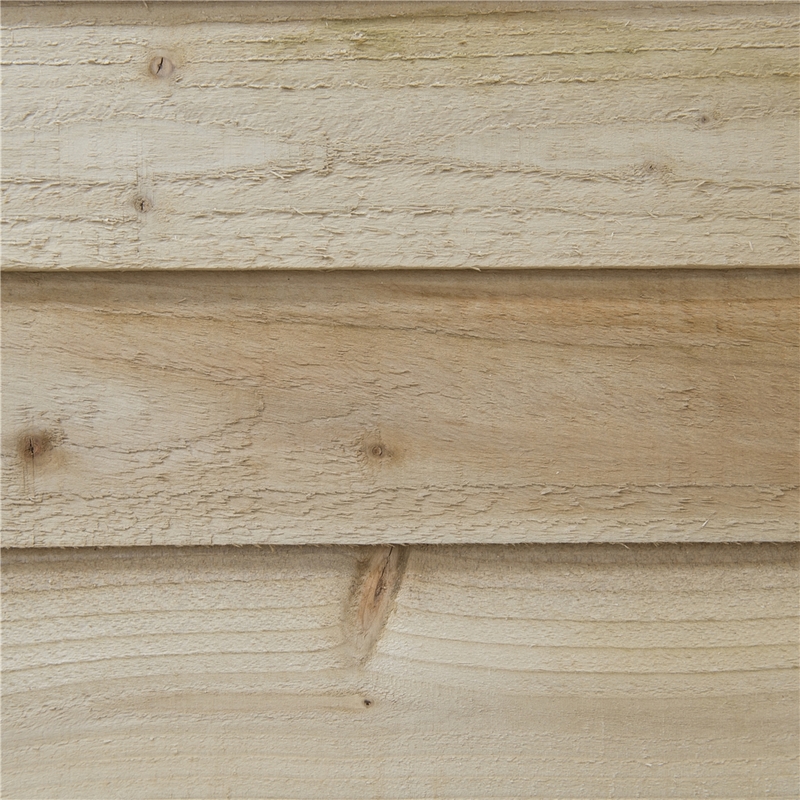 The solid timber boarded floor is stronger than normal OSB sheet flooring, offering increased weight-bearing capabilities. 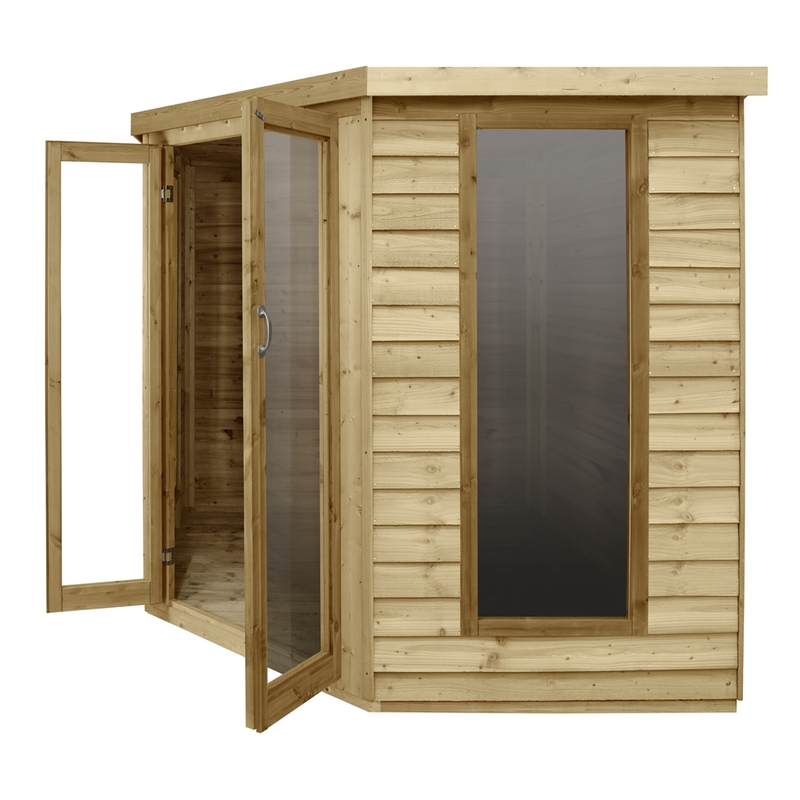 The timber used for these summerhouses has been Pressure Treated to give a 15 year guarantee against rot and fungal damage.